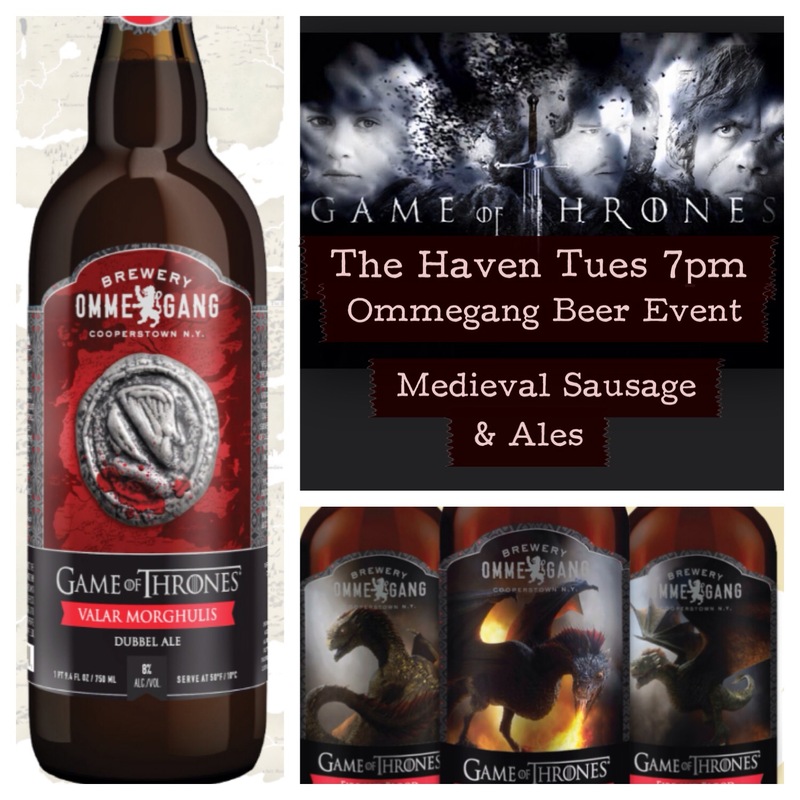 The Haven will transform into a Medieval Ale House this Tuesday Oct 7th for the Ommegang release of its latest and greatest Game of Thrones beer. Valar Morghulis is a lip smacking Belgian Abbey Dubbel. We are pairing this magnificent brew with Medieval fare at The Haven. Expect Boar Sausage, Scotch Eggs, Haggis on Toast, Pine Spruce Shortbread. Fire & Blood (the first Game of Thrones beer) will also be on tap.